Sezin Elçin Cengiz leads the competition practice group of White & Case's Istanbul Office. Ms. Cengiz is responsible for the entire range of competition-law related services including merger filings and exemption / clearance applications, cartel and abuse of dominance investigations, providing competition law advice and guidance to clients as to their commercial contracts including joint venture and shareholders' agreements, distribution and license agreements, designing Competition Compliance Programs and delivering tailored Competition Law Trainings for clients. Prior to joining White & Case, she worked for the Turkish Competition Authority for more than 10 years. She received the official "competition expert" title following the approval of her expertise thesis on competition law in 2004. During her time at the Turkish Competition Authority as a senior competition expert and case handler, she managed numerous investigations, led dawn raid teams and wrote reports and recommendations including legal and economic analysis of the findings, which were followed in the final decisions of the Turkish Competition Board. 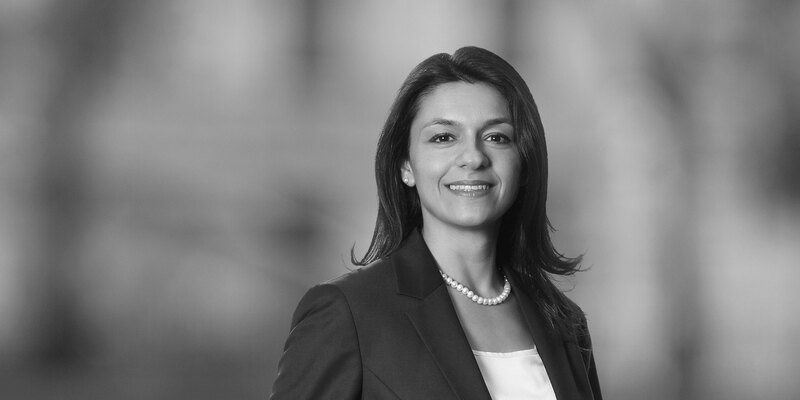 Ms. Cengiz also performed numerous M&A and exemption / negative clearance assessments as well as privatization cases including within the banking, insurance, financial services, transportation (land, air and sea), health, automotive and tourism sectors as a senior expert. Along with her professional activities, Ms. Cengiz has represented Turkey in the EU-Turkey Bilateral Meeting on Competition Policy, as a delegate responsible for conducting negotiations with EU officials on the Turkish insurance and air transport sectors. She has also conducted joint studies with the World Bank on liberalisation of the domestic air transport sector in Turkey; attended the US Antitrust Policy Training program arranged by the US Department of State and Federal Trade Commission; participated in a number of EU competition law workshops organized by the EU Commission and attended or submitted papers on numerous national / international seminars and workshops. She is currently pursuing a PhD degree. Ms. Cengiz has provided Turkish Competition Law advice to many of our clients including Pfizer, Nestlé, BBVA, Societe Generale, Dexia, Anthem Inc., Lukoil, Goldman Sachs, DuPont, Eaton Corp, Boeing, Gama Holding, Cukurova Holding, Yum Brands, Alliance Unichem, Eureko Insurance, BNP Paribas, Colgate-Palmolive, Ahlstrom Capital, Bupa, DMG Mori Seiki, Funai Group, Barclays Capital and Zurich Insurance. 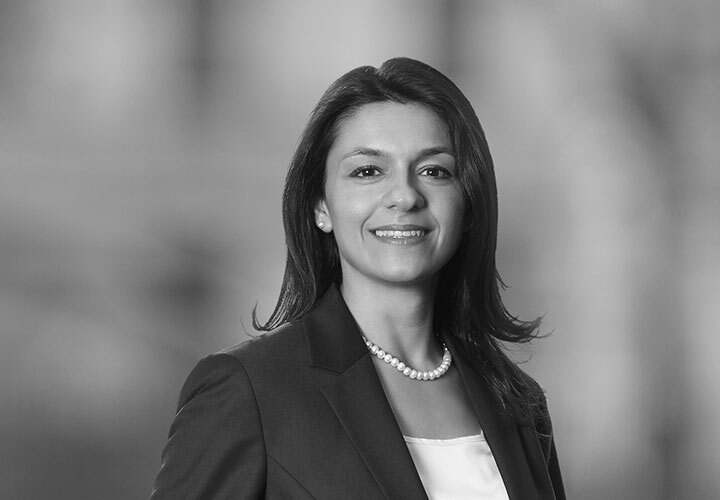 Ms. Cengiz is recognized as a notable practitioner for Competition/Antitrust in Turkey by Chambers & Partners. Assisted our client in relation to the dawn raid and preliminary investigation by the Competition Authority. Also provided competition law trainings to our client's sales managers across Turkey and other executives at the headquarters and provided other competition law compliance services such as computer reviews and review of agreements with dealers, suppliers and customers. Representation of Anthem Inc., the leading health benefits company in the US, for merger filings and antitrust matters in Turkey in relation to its US$54.2 billion acquisition of Cigna Corp, creating the largest US health insurer by membership. Representation of a major insurance company in Turkey during two preliminary investigations by the Turkish Competition Authority on price fixing allegations. The Competition Authority closed both cases without initiating a full-blown investigation. We have also recently represented our client in a full-fledged investigation against 8 insurance companies operating in Turkey for anticompetitive behavior allegations. Provided substantial Turkish competition law advice to our client within the scope of an arbitration before the Swiss Chambers' Court of Arbitration. A significant part of this arbitration required complex competition law assessment and advice specific to dealership and usufruct agreements and similar vertical arrangements within the fuel distribution sector in Turkey. It also involved the legal interpretation of the Turkish Competition Board’s and the Council of State’s specific decisions regarding the sector. Our claims in relation to competition law have been successful. Representation of Pfizer Inc. in relation to the merger filing of the transaction relating to Pfizer’s US$17 billion acquisition of Hospira Inc., the world’s leading provider of injectable drugs and infusion technologies, and a global leader in biosimilars. Representation of Societe Generale Turkey in the major cartel investigation initiated by the Turkish Competition Authority in April 2016 against a number of foreign banks operating in Turkey. The allegations that led to the investigation decision relate to anticompetitive information exchange among foreign banks in Turkey resulting in restriction of competition in multilateral, club and syndicated loans markets in Turkey. The investigation has been concluded in favor of our client with no fines. Representation of Toyota, a multinational group engaged mainly in automobile, material handling equipment, logistics and textile machinery businesses, for merger filings in Turkey related to its €1.2 billion acquisition of Vanderlande Industries, a global multinational group engaged in the design, manufacture, sale and integration of industrial process control and automation equipment. Provided extensive competition law advice to Turkish Banks Association in relation to the assessment of syndicated loan and club loan arrangements from competition law perspective and providing guidance on the rules to be taken into consideration in Turkey based on EU and UK applications. Representation of Eaton Corporation in relation to the merger filing of its acquisition of majority shareholding in Ulusoy Elektrik İmalat Taahhüt ve Ticaret A.Ş., a publicly listed company manufacturing medium voltage electrical equipment for MV electrical distribution networks and industrial plants. Representation of Goldman Sachs International in relation to the merger filing of its acquisition of a significant minority of shares in Modanisa Elektronik Mağazacılık ve Ticaret A.Ş., an online retailer that sells modern conservative clothing and accessories for Muslim women, from a number of individual and corporate sellers.